Taeyeon of Girls’ Generation will give fans a special gift, a Christmas album slated for release next month. According to the singer’s label S.M. Entertainment, Taeyeon has already finished recording the songs and is in the process of shooting the accompanying music video. 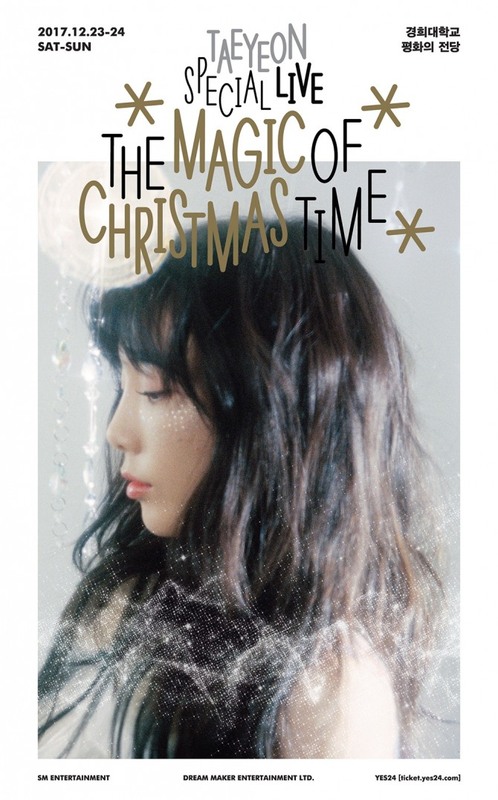 Fully getting into the Christmas spirit, Taeyeon will also hold her solo Christmas concert “The Magic of Christmas Time” at the Grand Peace Hall of Kyung Hee University‘s Seoul campus on Dec. 23 and Dec. 24. Fans will be able to fully enjoy the holiday vibe at the concert, as some of the hits she will perform at the event will be arranged to add a Christmas vibe, the agency said. Taeyeon‘s first musical project since the group’s sudden size down in October, when three of its members -- Sooyoung, Tiffany and Seohyun --left S.M. Entertainment.